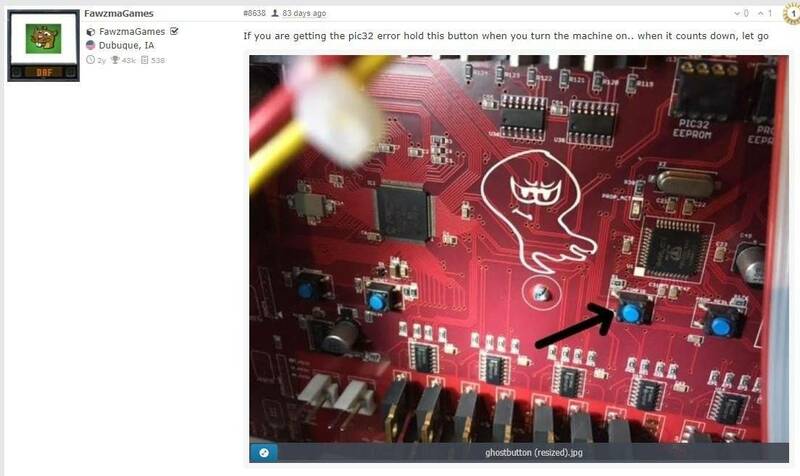 » Forum » Game manufacturers » Spooky Pinball » Have I bricked RZ? » Have I bricked RZ? Purchased an RZ today in not working condition. Game would state missing balls and not start. I went to reload the software and followed the process outlined on Spooky's website but once I went to restart the machine as instructed on the DMD, I've received the error Connect PIC32 : FAIL when powered back up and the screen instructs me to restart. I've wiped and reloaded the card to no avail. The game seems bricked now. Anyone come across this before? Try this procedure from Fawzma. If this doesn't work you'll have to send the board in to Spooky. Missing balls and not starting is not Software. 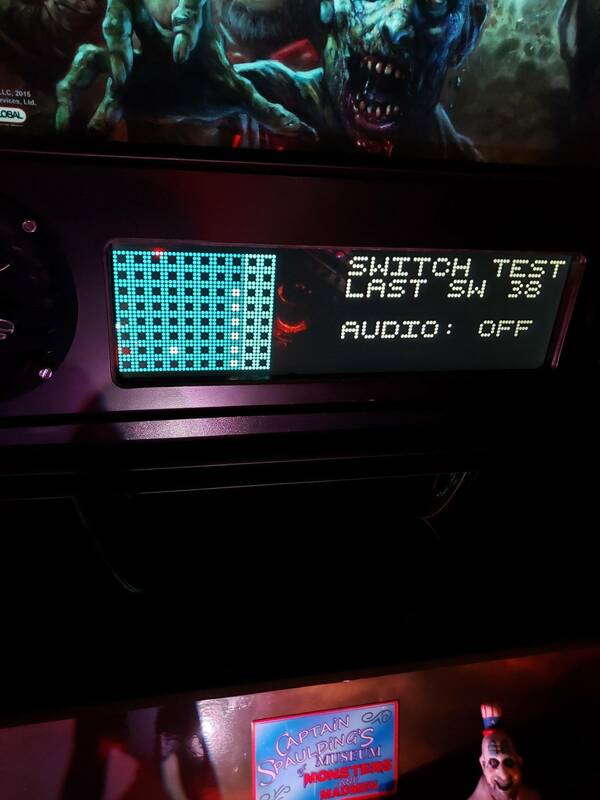 You more than likely had a bad switch shorted I have the same problem, the common switch that get shorted that affects that switch line for the trough is the switch on the bottom side of the upper playfield “gas” target. The Ball actually bends the diode and will short the switch. Awesome that worked! Very glad you had that. So software is reloaded but still missing balls. Will look under the secondary playfield and check anything associated with the trough in the switch matrix. I am showing one closed switch I wonder if it shouldn't be? Trying to get used to this menu lol. Will get under the 2nd pf and report back. Will check this out and report back. Ok so the switch did appear to be compromised. I bent the contact back and the switch registers proper but still missing balls. You can download the switch matrix sheet from spooky’s website under game support. Check the easy things first. Loose/broken wires to the trough switches, diodes on the trough switches. Balltrough has a number of switches and instead of one on ball one, it is relocated at the end of the trough. Because it has constant pressure against switch whenever a ball is in trough. It is not engineered enough. Try looking at that one also, it might be flaky. Is it still giving you this message when you try to update? I'm sure you will figure it out. All fixed Dan!! Game is now playing perfectly. The one cherry switch at the vuk in the trough was the suspect for the missing balls. 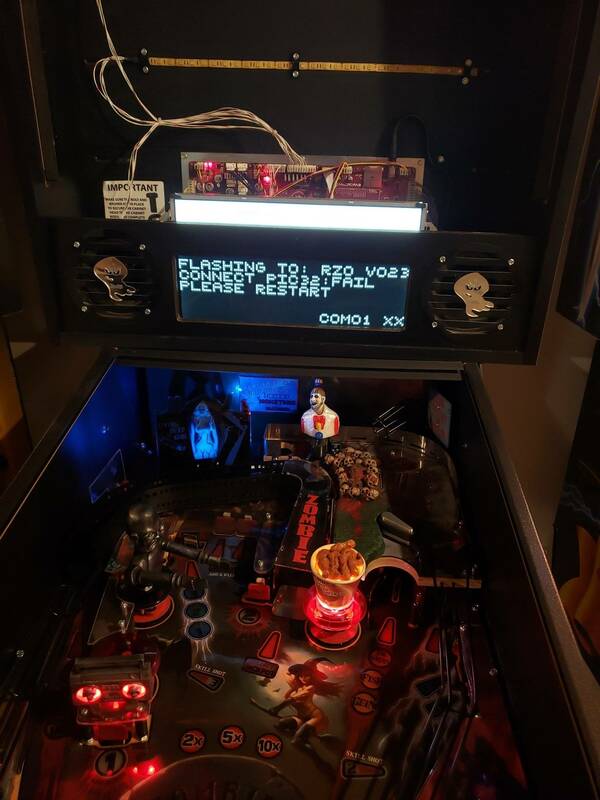 With playfield up on the arm, the cherry switch would register, but noticed it wasn't registered with the playfield in place. Adjusted switch and off to the races! Hey Ben, holding the button worked and took the fresh load. On a sidenote, never seen one of your boards til last night. Really love how you laid it out! This was the issue exactly. Agreed this switch is poorly engineered. I only designed the circuit, layout was by Parker Dillmann! But thanks!